Holding Timothy is sometimes an adventure, and so it was a few days ago when Timothy decided to combine a few of his favorite hobbies. I was holding him when he spit up on his hands and then started running his newly covered hands through my hair. Though I wouldn’t want him to do that everyday, I must admit that it worked better than some of the hair gels I use. Under the ‘don’t try this at home’ file, Timothy is sampling a new habit – drinking his bath water. I can understand the novelty – wind in your hair, bath toys as your side, surrounded by something that you can splash into your mouth. But it’s just not a great idea, as is evidenced by the surprised look on his face when he emerges from the deep with a mouthful of aqua. Speaking of water, I spent three days last week in Leadville, Colorado with the executive directors from the Outward Bound schools, who came in from all over, from Maine to San Francisco. It’s a talented and nice group of people and it was great to get together and have some very good discussions. But spending a few days at 10,000 feet was sobering. Beforehand, people told me that adjusting to high altitude required three things — ‘slow down, drink water, get rest’. I decided to disobey that advice, and found myself not feeling very well and sometimes short of breath. As if I needed it, I got another reminder to stop running around so much, so now I’ll see if I can have more success slowing down, drinking water and getting rest at sea level. As the football playoffs are in full force, the announcers talk about the ‘injured reserve’ list for each team – that X player won’t play because of a hamstring injury or Y player is sidelined with a bad knee. I think that this concept could be easily translated to we aging parents, considering the pile up of nicks and bruises. The changing table is a versatile piece of furniture. You buy one before the baby arrives, with visions of using it to change the baby until the he’s out of diapers. For us, it served as a changing table for about 6 months before Timothy’s size and squirming rendered it a dinosaur. These days, we change the little gremlin’s diaper on the floor of his room. Meanwhile, the changing table serves two functions — its shelves provide the primary storage for all burp clothes, bibs, towels and diaper related supplies, and the top of the changing table — formerly the scene of the ‘changing’ function — is now an open faced junk drawer, holding everything that we don’t want Timothy to get at in addition to the stuff we brought into his room and forgot to put away. The structure also provides a third function. 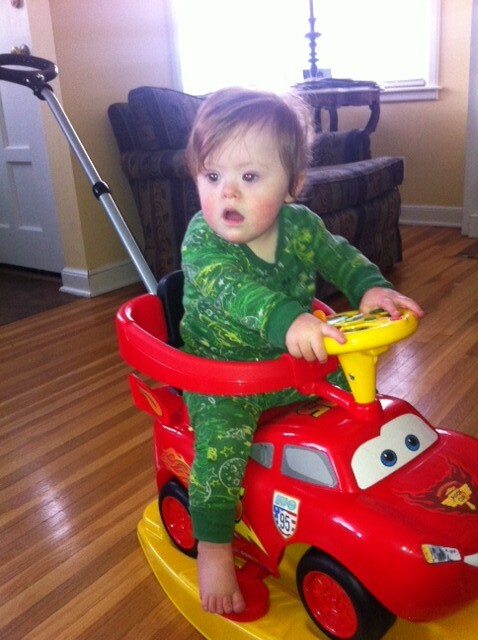 It is something of a ladder for Timothy to practice pulling himself up. 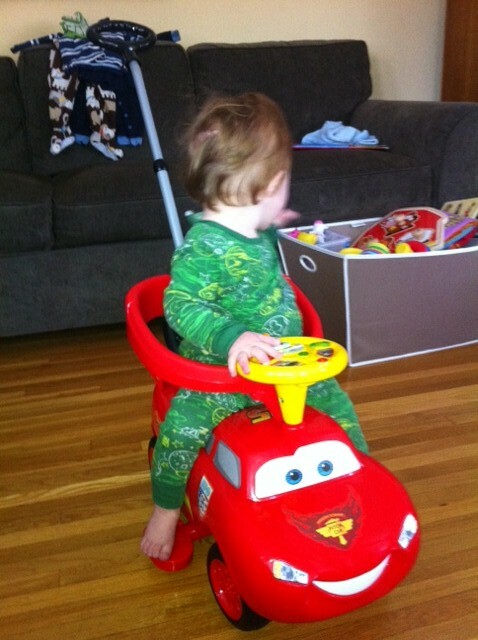 This is nice, since pulling himself up is a good precursor to standing up and walking. But when the now upright toddler comes face to face with that trove of linens, it results in a storm of flying burp cloths and bibs, as the wide eyed boy pulls everything off the shelf faster than a shopper on Black Friday. When this happens, you’re torn – you want him to be standing up and you’d hate to interrupt the display of fine and gross motor skills as bibs fly from the shelves, but you also aren’t in the mood to refold and replace the entire linen supply. But if you don’t intercept the toddler-table tandem in the first thirty seconds, you’re screwed. And that’s about the time that drinking bath water doesn’t seem like such a bad idea. This entry was posted in grabbing, happy ears and tagged bath time, Dr Timothy/ Mr TRBL, hearing, lots of hair pulling, Outward Bound, Parental injuries. Bookmark the permalink.